It’s been a busy week. 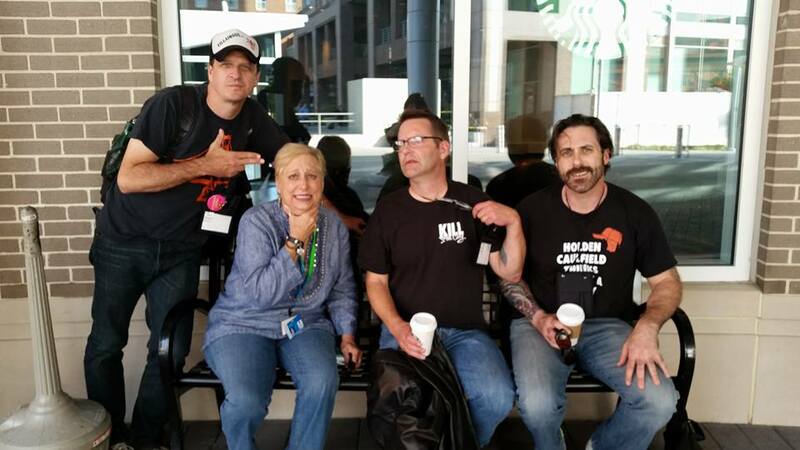 Bouchercon, the Anthony Boucher Memorial World Mystery Convention in Raleigh, North Carolina was incredible. Great to hang out with friends, pick up some killer new books, learn a ton and otherwise lounge around bars and restaurants for four days with interesting people. The Noir at the Bar event that Eryk Pruitt organized was definitely a highlight. I was thrilled to read alongside Johnny Shaw, Les Edgerton, Jedidiah Ayres, Christa Faust, Ed Kurtz, Jen Conley, Thomas Pluck, Tom Pitts and Joe Clifford. I also got to sit in for a taping of Authors on the Air with Pam Stack and Tom Pitts who invited a room full of reprobates ranging from Brian Panowich, Nik Korpon and Warren Moore to Danny Gardner, Chris Irvin and Jack Getze. Shot some video of Jay Stringer and Angel Colon, too—we’ll see how that turns out. The photo up top of me with Pam Stack, Tom Pitts and Joe Clifford is one of my favorites. It was shot by Absolutely*Kate. This one of me reading at Noir at the Bar in Raleigh was shot by the amazing Michelle Turlock Isler. This entry was tagged #amreading, #amwriting, #Bouchercon, Absolutely*Kate, Anonymous-9, Brian Panowich, Burbank Library, Craig Fasutus Buck, crime, Eric Beetner, Goodreads, Jack Getze, Joe Clifford, Josh Stallings, Les Edgerton, Lip Service West, LitQuake, Michelle Turlock Isler, mystery, North Carloina, Pam Stack, Raleigh, San Francisco, Tom Pitts, Want To Read. Bookmark the permalink. Having a BBQ this Labor Day weekend? Looking for a gloomy playlist of dark and murderous rock songs to encourage more drinking at your pool party? We have just the Spotify playlist for you—“Rock & Roll’s Not A Crime”! I have collected song suggestions from some of my favorite West Coast crime/mystery writers including Eric Beetner, Anonymous-9, Craig Faustus Buck and Josh Stallings. 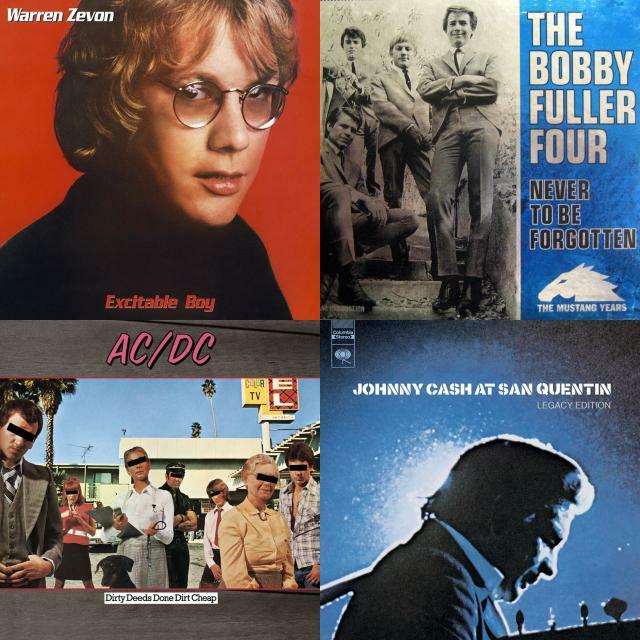 This playlist was created in anticipation of our upcoming event, “Rock & Roll’s Not A Crime,” at the Buena Vista Library Branch in Burbank CA on Oct. 14—but you can enjoy the darkness right now on Spotify (you can listen if you sign up for a free account). This entry was tagged #amreading, #amwriting, Anonymous-9, Burbank Library, Craig Faustus Buck, crime fiction, Eric Beetner, event, Josh Stallings, mystery, Oct. 14 2015, Rock & Roll's Not A Crime, Spotify. Bookmark the permalink.